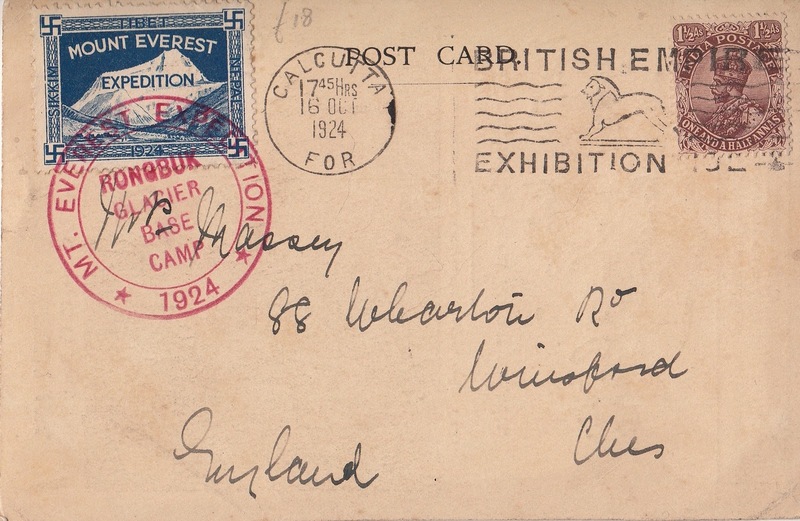 The 1924 Everest expedition is one of the most important events in mountaineering history and one of the biggest mysteries yet to be solved. In 1924 a team of climbers from the UK attempted to climb Everest in leather boots and woolen clothes with primitive oxygen tanks strapped to their backs. George Mallory and Sandy Irvine both perished during the attempt and Mallory's body was only recently discovered in 1999. This is where the mystery begins as nobody knows if they perished on the ascent or the descent. Were they the first people on Everest? Interestingly, a team of US climbers is off to the Himalayas this December to try to locate the body of Sandy Irvine and find the camera they were carrying, which may provide the answer to my previous question. So, where does this postcard fit in to the story? 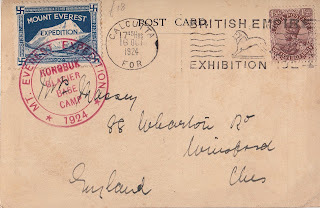 This postcard does not actually have original signatures, which is why it is less interesting than it first appears. It is, however, most interesting because it shows how the expedition was funded. 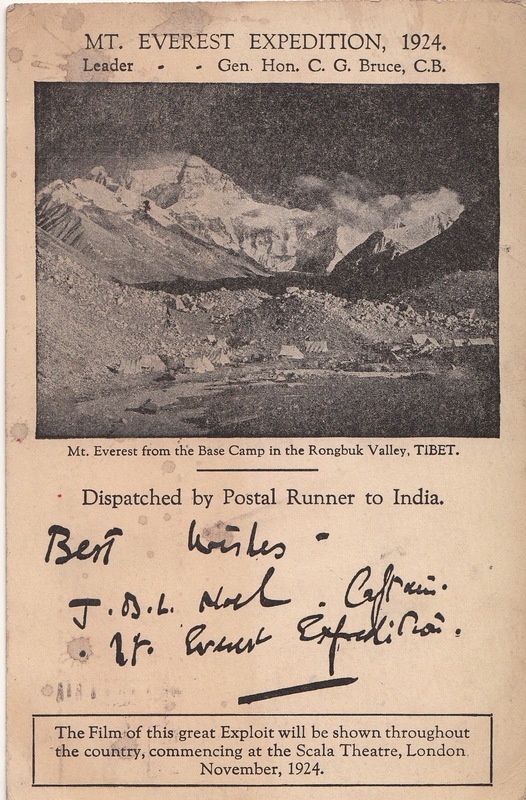 This postcard was a money raising initiative by John Noel, the official filmmaker and photographer. 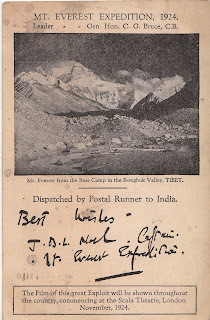 Members of the public paid to receive a postcard from Everest and John Noel weaved in a bit of promotion for the film he intended to show on their return. Little did he know he would actually film the last known sighting of Mallory and Irvine. So, there you go. A most exciting find.